Hey there all my little blogger friends. Is everyone ready for the 4th of July? I am! My son is coming home for a week! Can I get a whoop whoop! We plan on doing some camping and fishing and in general staying high in the mountains away from the heat. He is currently living in Yuma, Arizona where the temps are in the 110-120 (43-48 for my European friends) degrees daily so our mild 100 degrees should be a welcome change LOL. Anyway, back to crafty stuff. Today’s card is Summer by Simply B Stamps. Every month Miss Betty gives us a free digi to use for a monthly challenge. I LOVE this image! The challenge was to make your own background, not stamped. I used my alcohol inks to make the background and my Spellbinders Flourish 2 and EK Success Patterned Circles punch. Jazz says hi…he’s has been struggling with allergies this year. Poor puppy. The medicine seems to be helping. Just beautiful, Wendy! Great card and I love your sentiment, too! Stunning card. Love the color scheme and lay-out. 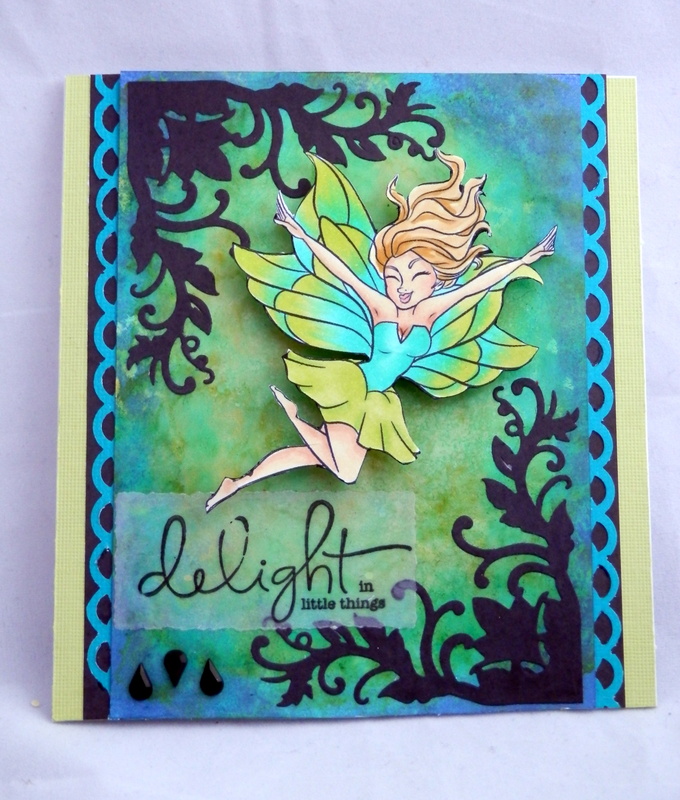 Love the background and fab job on the colouring especially the wings!